Used with permission from American Patchwork & Quilting® magazine. ©2015 Meredith Corporation. All rights reserved. 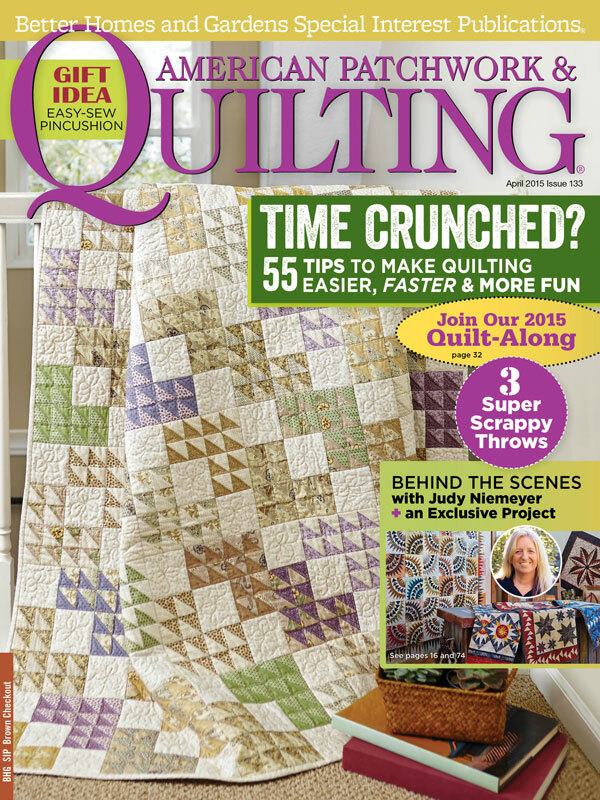 Have any of you heard of a little magazine called American Patchwork and Quilting? 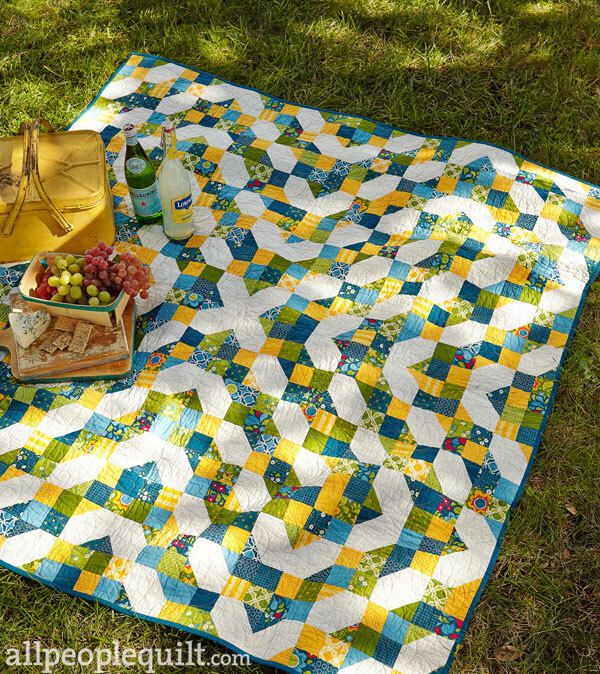 This year, the brilliant folks at American Patchwork and Quilting noticed a trend, and decided to jump on it! Four patches are making a comeback in a BIG way, and that’s what this year’s #apqQuiltalong is all about! Choose one of three quilts to make (or make all three! ), found in the April 2015 issue of American Patchwork and Quilting–on newsstands February 3rd. 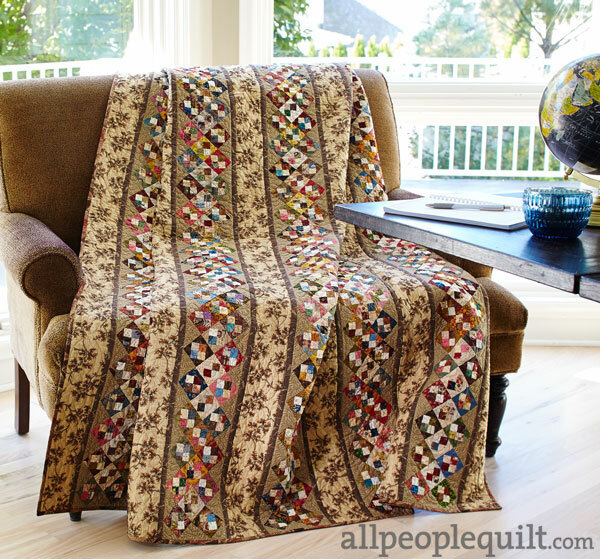 Share your progress with all of us via social media with the #apqQuiltalong hashtag! Be sure to tag me (@amrosenthal on IG and Prairie Grass Patterns on Facebook) if you decide to make my quilt, Buried Treasure, so I’m sure to see it! If you need a little inspiration, check out Lissa’s Pinterest board where we will be pinning as many pictures as we can find of YOUR quilts! So, go FOUR it! I want to see what you make! These are all just beautiful. Someday…someday. It’s on my list! Love your quilt! Hi there! I thought maybe you could help… I found the Moda Jelly Roll pattern ARCADIA online yesterday and fell in love. Unfortunately, it looks like it’s not in production any longer. Maybe you know someone… or someone has one they’re willing to sell??? Thanks in advance! I was wondering what line of fabric(s) you used for your Buried Treasure quilt, I really like how it pops :).